With the comprehensive array of general dental care options available here at Pomerado Cosmetic Dentistry, our dentists can help you maintain both the health and appearance of your teeth and gums. We utilize state-of-the-art technology combined with the skills of our experienced dental professionals to address existing concerns and identify signs of problems that may get worse if not promptly treated. We also offer a number of preventive dental care treatments that can reduce the chance of serious dental issues occurring in the future. Below, you will find descriptions of some of our general dentistry options. If you have questions, we invite you to contact us today for more information or to schedule an appointment. I have been a patient for 21 years and I travel from Chula Vista because Pomerado Cosmetic Dentistry is the best. They have been treating my entire family as well. The office staff, technicians, and dentists are exceptional. I always trust their advice and I have healthy teeth and gums. Regular oral exams and professional teeth cleanings are vital components to maintaining good oral health. Once your teeth and gums are evaluated by our dental team, we can talk with you about any issues that may have been identified and recommend treatment options that can address them. Following the exam, we can give your teeth a good cleaning utilizing professional techniques that take a number of issues into account. 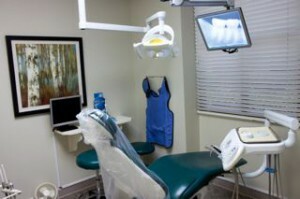 Our professional cleanings can include perio charting, a thorough cleaning of the teeth, a screening for oral cancer, laser treatment to reduce bacteria (if necessary), a blood pressure evaluation, instructions to improve oral hygiene, and even a package of oral care amenities to take home that can help you with your daily dental health regimen. When it comes to overall oral hygiene, a few simple steps each day can greatly reduce the risk of developing serious dental concerns. The team at Pomerado Cosmetic Dentistry makes it a point to provide comprehensive patient education that can help you maintain the best possible oral hygiene habits. We can talk with you about optimal brushing and flossing methods, as well as the importance of having routine check-ups and teeth cleanings to prevent major problems from emerging later on. We want to ensure your smile is healthy and beautiful long into the future! Our dentists at Pomerado Cosmetic Dentistry are experienced in treating individuals of all ages, and we offer a range of procedures for children, adolescents, adults, and the elderly in a comfortable and safe environment. Our family and pediatric dentistry care options are custom-designed for your child, and all of our team members are compassionate, friendly professionals who focus on giving the most effective and comfortable treatment possible. The use of durable, composite resin materials allows our dentists to provide more natural-looking results after filling cavities. Tooth-colored fillings are now the standard treatment option for fillings as opposed to the metallic-looking, “amalgam” fillings of the past. Later found to potentially pose a health risk due to small levels of mercury present in the material, amalgam fillings also yielded a visible metal appearance on the teeth after they were placed. Fortunately, tooth-colored fillings resolves both of those issues by utilizing a mercury-free material that can blend in with the tooth’s natural color. The composite material also enhances support of the tooth with results that are less likely to loosen and fall out. Tooth-colored fillings can be performed for both children and adults, and they can even replace old metal fillings that were placed many years ago. Since oral cancer can lead to life-threatening health risks, it is vitally important that you receive regular check-ups for any irregularities. Early diagnosis and treatment is key to reducing those risks – in fact, it’s been shown that early treatment can result in an 80 to 90 percent chance of survival. That’s why we make oral cancer screening a regular part of our exams here at Pomerado Cosmetic Dentistry. It’s recommended that you have at least two oral exams each year, and that you seek an immediate evaluation if you notice any irregularities in your mouth. However, please remember that oral cancer does not typically display symptoms in the early stages, making it crucial for you to have regular oral exams. Advanced technologies have made it possible to improve both the health and appearance of the gums without excessive recovery time. Our practice offers a number of state-of-the-art options to treat gum disease, including laser dentistry and Arestin® (an antibiotic medication that can aid in the fight against gum disease), designed to reduce discomfort during the procedure and result in healthier gum tissue and a renewed appearance. Gum recession and other conditions can cause many individuals to experience tooth pain and sensitivity, which can make eating delicious ice cream, drinking coffee, or partaking in other foods and beverages that are too hot or too cold an uncomfortable experience. The innovative Shield Force® Plus Desensitizer treatment can provide long-lasting relief from this very common concern. 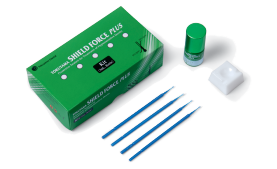 Shield Force® Plus is a quick in-office procedure designed to provide a protective barrier for the affected teeth and to reduce sensitivity. A small amount of dental resin will be applied to the tooth and bonded with a special light, which hardens the resin and “shields” the tooth from extreme temperatures. The treatment involves no needles or drilling, and it typically takes only a minute to complete. The results from Shield Force® Plus can last up to three years. This procedure can also be useful for reducing the effects of hypersensitive dentin in patients who are undergoing dental restorations. Our practice utilizes comprehensive infection controls and precautions to give you the safest possible treatment in a clean and professional environment. All of our team members follow the standards established by the Occupational Safety & Health Administration (OSHA), the Centers for Disease Control (CDC), and the Environmental Protection Agency (EPA). We use advanced technologies such as the autoclave to kill bacteria and viruses with heat, steam, and pressure. We also sterilize all of our reusable equipment before each use, use disposable materials when possible, wear gloves and face masks, and liberally disinfect all countertops and surfaces. Dental sealants are typically quick treatments that can help to prevent cavities and decay from developing on the back teeth. A strong plastic material is placed over the chewing surfaces to guard against bacteria forming in the crevices between the teeth. This ultimately reduces the potential for harmful bacteria to cause damage to the teeth that will require more extensive treatment later. Sealants are often ideal treatments for children, working to protect their teeth from harm for years. 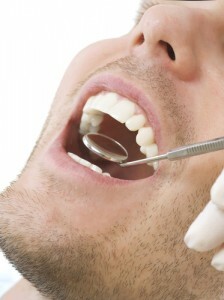 A tooth that is badly decayed or damaged may need root canal therapy to save it. Root canals comprise the inner areas of the teeth. If a tooth’s pulp becomes infected, the effects can be extreme pain and/or the formation of an abscess. If the tooth is not treated, the infection can endanger its survival and even have an effect on your overall health, leading to a dramatically increased risk of heart attack, stroke, and other serious conditions. A root canal is designed to remove the infected pulp and bacteria that is harming the tooth. The nerve chamber of the tooth is meticulously cleaned, and a filling material will then be placed to provide a strong seal. Finally, a custom-designed porcelain crown will be affixed to the tooth to give it a durable support structure. The crown will be color-matched to surrounding teeth for a seamless blend, and should look, feel, and function like a natural tooth. Further damage to your teeth from gum disease can often be reduced with deep scaling and root planing treatment. This non-surgical option diminishes pockets of bacteria in the mouth by removing plaque and tarter around the roots of the teeth. A diode laser is then painlessly utilized to seal the gum tissue around the teeth and reduce discomfort after the procedure. OraVerse® is a new dental treatment that can significantly reduce the time you spend feeling numb after procedures. While local anesthetic does a remarkable job at preventing you from feeling discomfort during a procedure, the fact is that it can often take hours to wear off. OraVerse® can diminish the effects of the anesthetic to about half the time it usually takes, helping you to smile, chew, and speak more comfortably in a much faster timeframe. Sometimes, a tooth is damaged beyond repair and an extraction is necessary. Severe decay or tooth injury can lead to extraordinary pain, risks to your overall health, and the development of further problems in your surrounding teeth. In cases where teeth-saving treatments will not be effective, our dentists can extract the damaged tooth with advanced dental techniques. Nitrous oxide (commonly known as “laughing gas”) can be used in some procedures as a sedation dentistry technique to help high anxiety patients feel more relaxed during treatment. This technique does not cause you to lose consciousness while being treated – it is designed to help you feel more comfortable and less susceptible to feeling discomfort. Nitrous oxide can be very helpful for patients who suffer from dental anxiety. With the use of nitrous oxide you do NOT need to arrange transportation because you never lose consciousness. Pomerado Cosmetic Dentistry is committed to providing treatments utilizing materials that are completely free of mercury. In the past, materials used in teeth fillings often contained small amounts of mercury, a substance that has been found to potentially pose both health and environmental risks. By using composite resin filling materials, we have eliminated mercury-based materials from our practice. Biomimetic dentistry is one of the fastest developing fields in dentistry today. Utilizing a minimally-invasive approach to help preserve the health and strength of your natural teeth, these innovative techniques make it possible to conserve more of your original tooth structure during treatment for many common dental issues. Biomimetic dentistry can often serve as an alternative to more extensive and costly procedures, including full root canals or full coverage crowns. If you would like more information on our general dental care procedures, or if you would like to schedule an appointment here at our practice, please contact Pomerado Cosmetic Dentistry today.